Wild — 52.0 miles; Total — 52.0 miles. 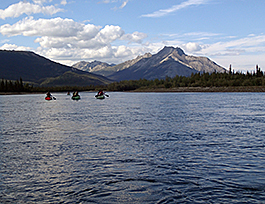 This river flows south from Anaktuvuk Pass in Alaska's Brooks Range. The valley is an important migration route for the Arctic Caribou Herd.